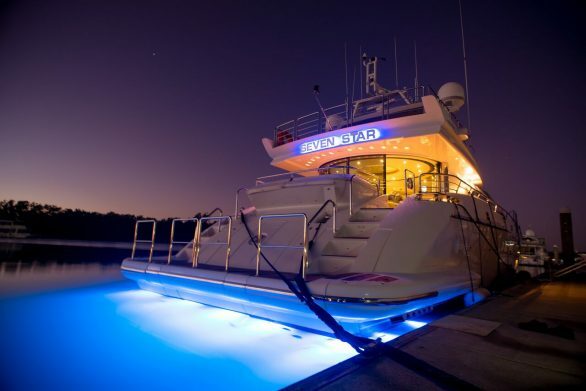 Seven Star, Sydney Harbour's newest superyacht is now available for private charters at Any Boat. 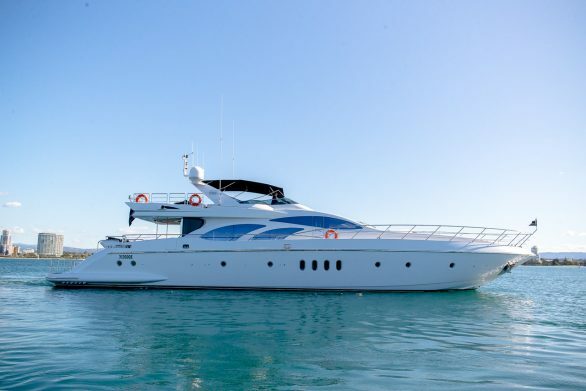 This luxurious 98-foot Azimut sports yacht will be sure to turn some heads on Sydney Harbour. It does not compromise on interior space and comfort, paying tribute to its founder Paolo Vitelli, who set a benchmark in impeccable styling and industry standards that have revolutionised the boating industry. This superior vessel is ideal for corporate entertainment, weddings, elegant cocktail parties or just a fun day out on the harbour. 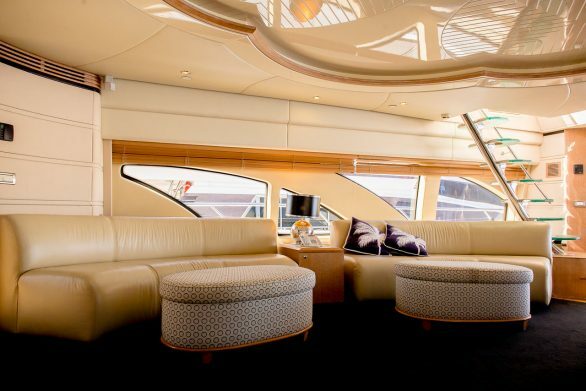 The furnishings on board are of the highest quality sure to be noticed by those guests with a discerning touch. With a jacuzzi on the grand upper flybridge, you and your guests can enjoy panoramic views of Sydney Harbour and all that it has to offer. Indulge a small group of 4-6 with an overnight stay or a larger group of up to 80 guests for 4-8 hours and this vessel will be sure to create an impression that will stay with you long after you your event has finished. 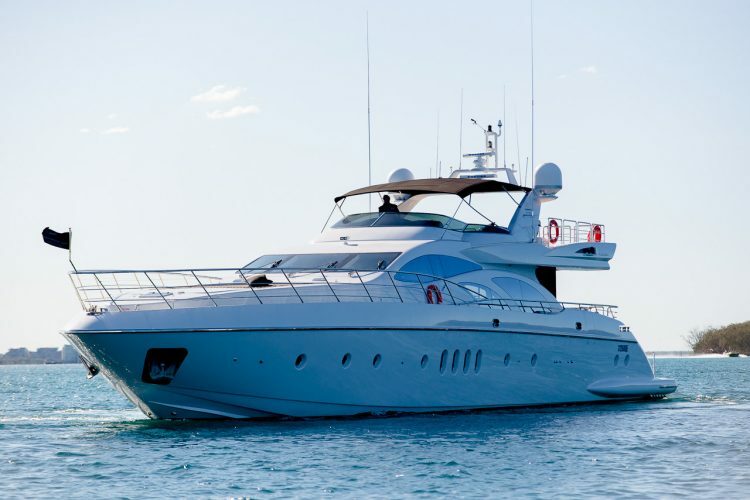 The experienced and professional captain and crew are a great accompaniment to this vessel. Once on board you will be transported to a world that most of us can only dream about. You can view more great pictures of Seven Star on the Any Boat website or contact our team to help you make your dreams come true.